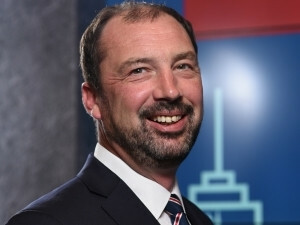 Phil Lewis Infor's Vice President for Global Solution Consulting. Contrary to the predictions of the futuristic movies of the 80s, the "rise of the machines" will not be the downfall of mankind - but rather deliver the business application support system that drives greater efficiencies with more intelligence, less error and greater data control. As enterprise software continues to evolve, the introduction of mainstream artificial intelligence has become the logical focus point for innovative solutions. On the 21st of September, Infor, a leading provider of beautiful business applications specialised by industry and built for the cloud, hosted its Infor Next conference at Montecasino, Fourways. The Infor leadership team addressed the company's strategic roadmap as it pertained to Africa, unveiled major company announcements, and was joined by partners and customers who shared their success stories. Earlier this year, Infor received an investment of more than $2 billion from Koch Equity Development, the investment and acquisition subsidiary of Koch Industries. The investment was not only a strong validation of Infor's strategy and growth, but also empowered the company to continue on its journey of product investment, innovation, and entrepreneurship. At the event, Infor made its most significant product announcement since its Infor CloudSuites in 2014, confirming the introduction of Infor Coleman, and enterprise-grade, industry-specific, artificial intelligence (AI) platform. The development of Coleman was bolstered by Infor's acquisition of Birst, which offers an innovative business intelligence platform that effectively manages data across enterprise systems. 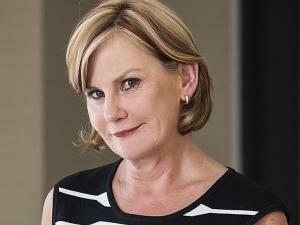 Jane Thomson, MD at Softworx, Infor's Master Partner in Africa. "This solution uses natural language processing and image recognition to help people use technology more efficiently," confirmed Tarik Taman, Infor's Vice President and General Manager for India, Middle East and Africa (IMEA). "Through the power of intuitive, verbal conversations, Coleman enables AI to become the user interface, allowing staff to wholly delegate data questions and searches to the AI system." Infor has spent many years automating processes that followed clear rules, such as accounting and manufacturing processes. "We are now leveraging machine learning and our access to large amounts of data to assist users with less structured processes such as complex decisions, conversations, and predictions," said Charles Phillips, Chief Executive Officer at Infor. According to Phil Lewis, Infor's Vice President for Global Solution Consulting, AI wasn't the company's only major development announcement. 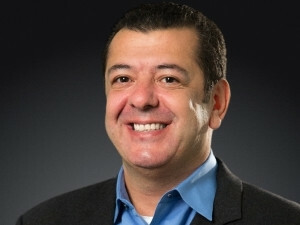 "Infor has also developed Networked CloudSuites, extending Infor CloudSuites with core functionality from the GT Nexus commerce network, allowing for network-wide visibility, collaboration, efficiency and responsiveness. This agility is further supported by an integration for Infor CRM with LinkedIn Sales Navigator." Tarik Taman Infor's Vice President and General Manager for India Middle East and Africa (IMEA). By having customers weigh in on design specification, development, testing and approvals, Infor was able to infuse the voice of the customer directly into Infor Concierge. "With a dedication to user friendliness and the need for real-time responses, the Concierge solution delivers resolutions to business issues without the need for multiple calls or emails," confirmed Jane Thomson, Managing Director at Softworx, Infor's Master Partner in Africa. "This tool offers the ultimate, always-on customer service that contemporary businesses require from technology partners." Underpinned by the glowing customer panels, the event outlined Infor's strategy for bringing greater solutions to Africa, as it continues to offer accelerated innovation, expanded distribution, and disruption to the enterprise applications industry. Infor builds business software for specific industries in the cloud. With 16 000 employees and over 90 000 customers in more than 170 countries, Infor software is designed for progress. To learn more, please visit www.infor.com.